What do I need to do to create a successful blog when I’m just starting out? I’m always slightly hesitant to answer this question, for one because it’s so broad, and two because the answer is very nuanced, depends on the niche, target market, amount of time available to spend blogging, budget, and many other variables. All that being said, there are a few steps that every blogger should take when first starting out to ensure they’re building their platform correctly and which will put them in the best position to grow and succeed. Since this question (or a variation of it) is asked of me so often, I decided it would make sense to write a blog post listing out the basic steps in the correct order that it takes to create a successful blog. If the goal is to create a business, and not just a blog, then some basic education on marketing, content creation, social media, and even search engine optimization is in order. You need to start learning as much as you can about creating solid content. Of course you could just Google the answer to every question you have, but the results will vary in quality and accuracy. An excellent free resource is the Rainmaker Training Course. It includes a series of audio lessons, how-to webinars, and case studies. It’s a great course for anyone just getting started. An even better marketing course is Copyblogger’s Authority training, which is a content marketing training and networking community designed to accelerate your skills and success. In my opinion, it’s more valuable than an MBA. If you want to learn how to use WordPress correctly, WP 101 is a video tutorial series that explains the basics of setting up your blog, configuring your settings, installing themes & plugins, and much more. This should be pretty obvious, but purchasing a domain name for your new blog is kind of essential. Ideally your domain name should be short and descriptive, and use .com if at all possible. There are many other top level domains (TLDs) available now, such as .net, .org, .co, .ninja, and many others, but .com is still the best, if you can get it. I register all of my domains via Hover.com. They have great customer service, and their website interface is really nice and easy to use. Now that you’ve purchased your domain name, you need a web host to store all the files that make up your blog. 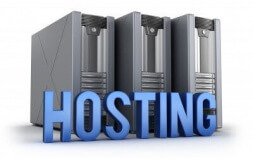 There are almost as many hosting companies and servers as there are domain name registrars, but there’s a BIG difference in quality between them. The last thing you should do is run out and purchase hosting from GoDaddy or one of the other big, cheap shared hosting providers, as their quality (and customer service) is severely lacking. If you’re just starting out, or have already created a site on Blogger or other free hosted service, you’ll want to build your site on a platform that will grow with you. My personal favorite, and the one I recommend to (almost) all of my clients is StudioPress Sites. While not the least expensive, it is probably the most value packed of any hosting option that I have found. And it comes bundled with some of the best theme and plugins available, which we’ll discuss below. If you’re on a super tight budget or just want to treat blogging as a small hobby but want a solid hosting option, another company with excellent customer service is SiteGround. However, once your website begins to get much traffic you’ll probably outgrow them and need to upgrade to better platform such as StudioPress Sites, or their premium Synthesis hosting service. 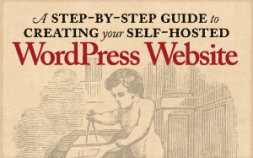 Once you’ve purchased your domain name and hosting account, the next step is to start building out your blog on WordPress. While there are many beautiful themes available, there’s a huge difference in quality between them. Most bloggers just starting out tend to gravitate towards a free theme (for obvious reasons), but I’d HIGHLY encourage you to make the small investment in your website and purchase a premium one. Even in the commercial theme market, there’s a vast divide in quality. The only themes I personally use or recommend are from StudioPress and their Genesis Framework. The reason I’m so adamant about this is because StudioPress themes are built with speed in mind, the best security practices in place, are search engine optimized, mobile friendly, and the community of developers building them are the best in the business, and very helpful if you ever have questions. Plus, if you choose their hosting service mentioned above, their themes are included with your purchase! Once you have WordPress installed on your server and have selected your Genesis based theme, you’ll probably want to add a few plugins for some advanced functionality. Plugins are small pieces of software that extend and expand the functionality which already exists in WordPress. There are thousands of plugins available, and just like servers and themes, the quality can vary greatly, depending on who built it, the quality of the code base, and how well it’s maintained. Just like themes, there are both free and paid plugins. There are some excellent free plugins, and some terrible paid ones, so it’s important to vet out the good from the bad before you install them. Since every blogger’s website and needs are different, it’s hard to give a list of exactly what plugins you’ll need, but this list should help you get started. Most everyone has an email address, but if you want your blog to appear professional and not just a hobby, you’re going to need an email address branded with your domain name. The easiest way to set this up is using Google Apps. Its a suite of productivity tools that includes your email, documents and storage, calendar, and much more. Best of all it’s inexpensive, and is super easy to setup and use. If you’re serious about blogging, you’ll want to start building an email list right away. The best way to do this is by using an email marketing and autoresponder service. There are many available, and I’ve tried out almost all of them over the years, but the best one I’ve found for professional bloggers is Convert Kit. Convert Kit gives you the ability to create beautiful, mobile friendly signup forms that you can embed directly on your website. It also includes marketing automation, so that when someone signs up for your email list, they can receive a series of emails directly from you, based upon the criteria you set. It’s very user friendly and intuitive to setup, and their customer service is fantastic. The single most important step to building a successful blog from scratch is to consistently create unique content each week that your audience enjoys. There’s no secret to this step other than sitting down at your computer and writing. The reality is that this is the hardest step of all. Most people who start a blog will quit within a month, but like most everything in life, the secret to blogging success is hard work and consistency. The content marketing courses I mentioned in step 1 can help with the strategy of what to write about and how to improve your writing style, but at the end of the day, you just have to sit down and bang out words on the keyboard. If you’re looking for a more done-for-you approach to getting started blogging that takes away the technical hassle of dealing with hosting, themes, and plugins, check out the Rainmaker Platform. It’s built on WordPress, but takes away the need for technical know-how as all those items are built into it, so you can focus on writing and creating content, instead of building out a website. Most bloggers just starting out probably won’t need something as technical as Rainmaker, but if you don’t want to handle any of the technical details associated with blogging and content marketing, then it might be a good choice. My personal recommendation for most people just getting started is StudioPress Sites. This service bundles everything you need to get your website up and running: hosting, theme(s), and plugins… all for an amazingly low price! This service is perfect for bloggers, podcasters, and affiliate marketers, as well as those selling physical products, digital downloads, and membership programs. With SPS, the only thing else you need to get setup is your email, so it really saves a lot of time and money. 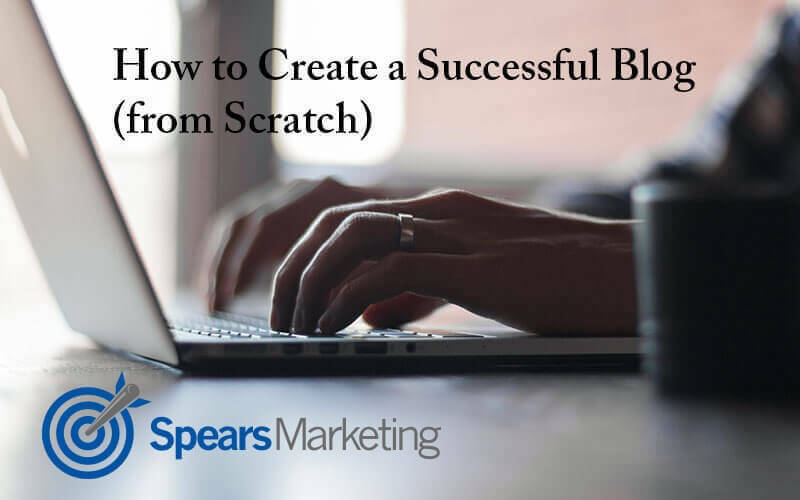 I hope this list of steps on how to create a successful blog is helpful. If you have questions or need clarification on any of them, please leave a comment below. Great tips, Seth! Indeed, choosing Genesis Framework is a smart approach, which has a positive long-term impact on blogging. 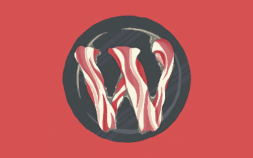 However, with regards to choosing non-Genesis WP themes, one should keep in mind a couple of things such as the code of the WP theme and whether the theme uses a lot of JS because it may have an adverse impact on loading speed. Thanks! This was such helpful advice. Thank you!